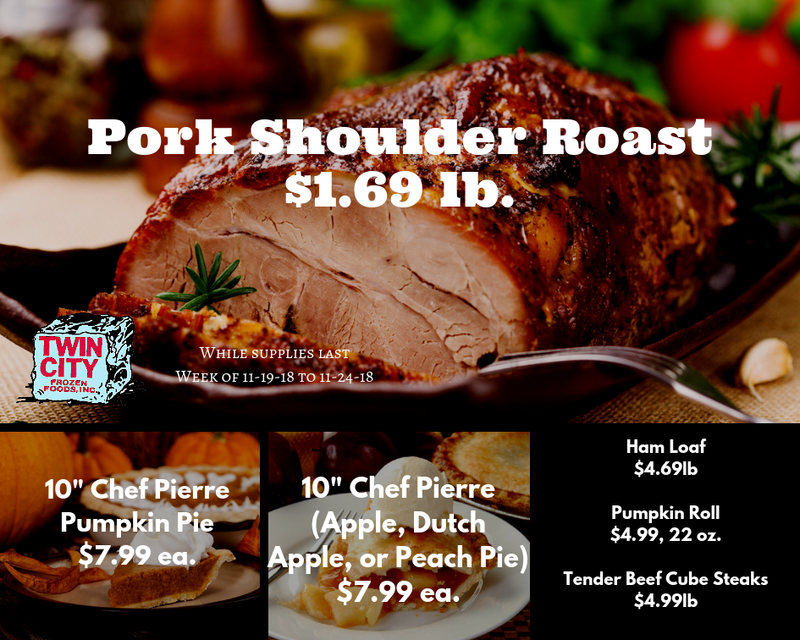 Pork Shoulder Roast, $1.69 lb. Pumpkin Roll, $4.99, 22 oz. Tender Beef Cube Steaks, $4.99 lb. 10" Chef Pierre Pumpkin Pie, $7.99 ea. (Apple, Dutch Apple, or Peach Pie), $7.99 ea.